Gail Ericson, MS, PT, of the Penny George Institute for Health and Healing shares the pros and cons of using a fitness tracker to meet your health goals at Healthy Set Go. This is the last post of the LiveWell blog, but it is not the last post for practitioners of the Penny George Institute for Health and Healing. They will be offering the same great, wellness and prevention expertise with a holistic twist at Allina Health’s new digital destination Healthy Set Go. Nourish: Tips and recipes for healthy eating. Move: Inspiration and how-to articles to get moving. Thrive: Support and insight for mental and emotional well-being. Heal: Knowledge to deal with illness. Prevent: Information to prevent illness and injury. Care: Advice to care for yourself and others at life’s unique stages. Is an elimination diet right for you? Can a fitbit make you fit? Categories: Acupuncture, Exercise, Happiness, Health and wellness, Mind body connection, Nutrition, Sleep, Stress Management, Traditional Chinese Medicine, well-being | Tags: caring for family, Caring for yourself, elimination diet, exercise, fitbit, healing, Healthy Set Go, holistic health, holistic therapies, integrative health, Mediterranean diet, Mental well-being, nutrition, peventative health, Wei Qi | Permalink. Photo by Jackie Krage of the Penny George Institute for Health and Healing. Categories: Art of Healing, Happiness, Health and wellness, Stress Management, well-being | Tags: art of healing, art therapy, getting through winter, hope, inspirational quote, Penny George Institute, Penny George Institute for Health and Healing, quotes by Albert Camus, Seasonal affective disorder, stress, stress management, wellness, winter blues | Permalink. February is a time when many people find their New Year’s resolutions are waning. If you are one of these people, you aren’t alone. The vast majority of resolutions fail. Too often, it can feel like the obstacles you face to accomplishing a resolution are insurmountable. But there things you can do to break down these barriers. Have a plan and a backup plan. Create SMART goals (specific, measurable, action oriented, realistic and time dependent). If your goal is simply to “eat better,” dig into what that means by creating a SMART goal. Plan ahead. Maybe that means putting meditation time on your scheduler, keeping your gym clothes handy, or taking time each week to draw up a healthier meal plan. This takes a few extra moments on the front end, but will save you frustration on the back end. Know your backup plan. For example, keep healthy snacks on hand in case you don’t have time for lunch. If you exercise outside, have an indoor workout in mind for when the weather is bad. Look at your schedule for a week. Does it reflect your values? Is there time anywhere to fit in your health goal? What is the least amount you could do to meet your goal? Perhaps 10 minutes of walking? 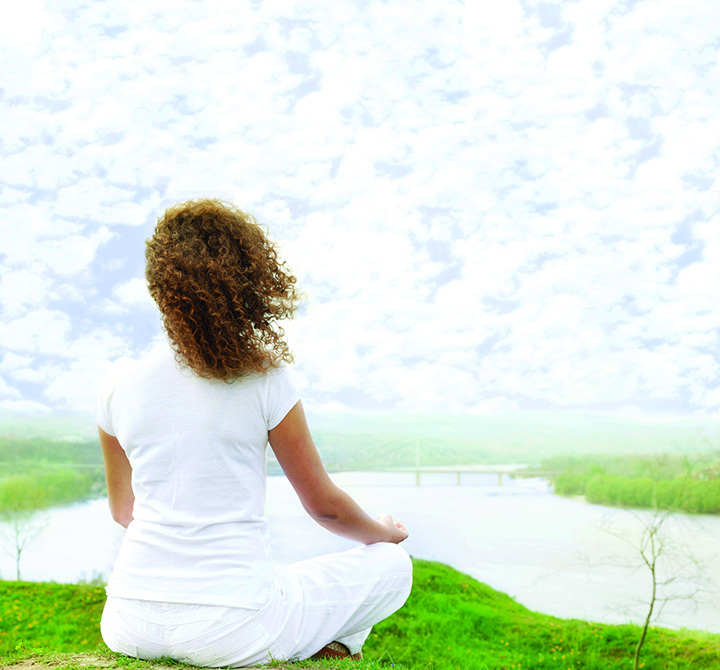 5 minutes of meditation? Bringing a healthy lunch 3 days a week? Consider if you been able to accomplish your healthy change in the past. If you have, think about how you did it. What support did you have? What else enabled you to meet this goal? Envision what it will feel like to take a step in the right direction. What would that do for your confidence? Remind yourself that every little bit counts. Repeat that phrase as often as necessary. Consider what happens when you do too much too soon? Could you sustain it? Don’t feel like you have to do it alone. We are a society that values independence, but when it comes to lifestyle changes, going it alone can be a recipe for failure. To deal with this, consider what good support would look like for you: a buddy? a class? a coach? an online community? Regardless of the barriers you face, tackling them with intention and honesty will pay big rewards. Mary Farrell, MS, PCC, is an integrative health & wellness coach and an exercise physiologist with the Penny George Institute for Health and Healing’s LiveWell Fitness Center. Call 612-863-5178 to make an appointment with her. Categories: Exercise, Happiness, Health and wellness, Nutrition, Stress Management, well-being | Tags: eating healthy, exercise, get motivated to exercise, managing stress, staying motivated to be healthy | Permalink. If you are feeling complacent about your health and want help setting a new direction, working with an integrative health and wellness coach can help. This article appears in the Winter 2015 issue of the Livewell® Newsletter of the Penny George Institute for Health and Healing. Maybe you have gotten complacent about your health and need help setting a new direction. Maybe you have tried losing that 20 pounds more times than you can count. Or maybe you’ve struggled with an injury or illness and don’t know where to start in order to regain your health. These are all good reasons to devise your own wellness vision with the help of an integrative health and wellness coach. Coaching sessions begin with an in-depth assessment, said Karen Prieto, MSN, APRN-CNS, clinical nurse specialist and certified wellness coach, Penny George Institute – Abbott Northwestern. “We start by having you identify what you want to achieve and then setting goals with you.” The assessment also helps you identify your strengths and resources, as well any obstacles that you may face. Wellness coaching is a key component of the Penny George Institute’s tobacco cessation program, Quit to Live Well. Whether you want to quit smoking or make other lifestyle changes, a health and wellness coach can help you bring a fresh perspective on how to meet your goals. Coaching sessions can occur in person or on the phone, and you can determine the number of sessions depending on your needs. “We help you create a clearer awareness of what you want and develop a plan of action to get there.” Prieto said. in Fridley. For appointments, call 612-863-3333. Categories: Health and wellness, well-being | Tags: motivation to change, New Year's resolutions, weight loss | Permalink. Believe it or not, exercise builds brain power in a way that not even thinking does. Exercise seems to positively change the brain, and slow or reverse its physical decay. stimulates brain plasticity by repairing old connections and stimulating new connections between brain cells. Many studies suggest that the parts of the brain that control thinking and memory (the prefrontal cortex and medial temporal cortex) have greater volume in people who exercise versus to those who don’t. The “runners high” is associated with a drop in stress hormones. Another effect of running is more cell growth in the hippocampus, an area of the brain responsible for learning and memory. Interestingly, antidepressant medications also work by stimulating the growth of neurons in the hippocampus. At times exercise is even prescribed as an antidepressant “medication” with positive side effects unlike most medications. Exercise may help improve sleep and mood, and help reduce stress and anxiety. Try activities with both physical and mental demands, such as ballroom dancing and martial arts. The best brain health workouts involve those that integrate different parts of the brain such as coordination, rhythm and strategy. More intense exercise usually provides more benefits. However, if you are just starting to exercise, it is important to work your way up to higher intensity work outs to avoid setbacks and injuries. Exercise in the morning. Exercise before going to work not only spikes brain activity and prepares you for mental stresses, but also increases retention of new information and improves your ability to react to complex situations. The amount of exercise required to see benefits is 30 minutes of moderate physical activity (think walking) most days of the week or 150 minutes a week. If that seems overwhelming, start with a few minutes a day, and increase the amount you exercise by 5-10 minutes every week. If you don’t like to walk, any activity that gets your heart rate up will achieve positive benefits for your brain. Remember, it’s never too late to start exercising, and the best thing you can do is avoid physical inactivity. Whatever exercise you choose, commit to establishing exercise as a habit, almost like taking a prescription medication. After all, they say that exercise is medicine. Steve Moore, MS, is an exercise physiologist with the Penny George Institute for Health and Healing’s LiveWell Fitness Center. He is available for exercise physiology consultations, fitness assessments and personal training appointments. Call 612-863-5178 to make an appointment. Categories: Exercise, Health and wellness, Mind body connection, well-being | Tags: Benefits of exercise, boosting brain power through exercise, brain health, brain health tips, build your brain power, Exercise tips for boosting your brain power, how to keep your brain healthy, Penny George Institute, Steve Moore | Permalink. 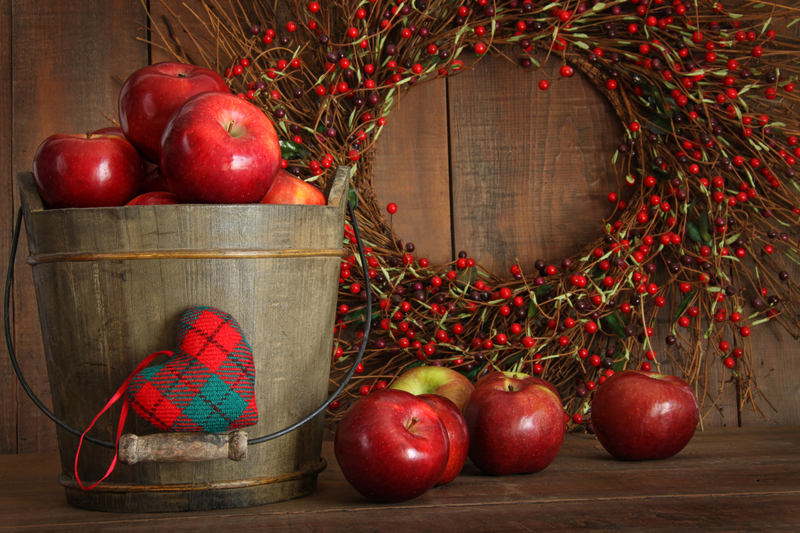 Give yourself the gift of health this holiday using these seven tips for healthy seasonal eating. The toy catalogs had just been located, and I overheard several of my grandchildren discuss what they wanted for holiday gifts. It took me back to a simpler time when my stocking contained not only a toy and some candy, but also an apple, orange and banana. It was a special day, and those were treasured treats. Today, healthy food options are readily available. However, these foods often aren’t included in holiday spreads due to a lack of planning, time, know-how or dollars. We become victims of seasonal weight gain ― controlled by the food, beverages and treats that are placed in front of us. But what would happen if we took control of our nutrition this holiday season? I know it can mess with a person’s mind to think of the holidays and nutrition at the same time. But one way to do this is to place an emphasis on nutrition, eating less and enjoying food more. Seasonal nutrition means focusing on healthy foods in your diet that help you avoid mood swings, maintain energy, and improve your ability to handle whatever the season brings your way. Indulge in a couple of favorite holiday treats but be mindful when you eat them. Take time to savor the taste and smell, and notice the memories they might conjure up. Offer to bring a healthy dish to holiday parties to ensure that you will have something nutritious to eat there. Then have just a taste of some of the other more indulgent foods at the event. Take a colorful variety of vegetables with a dip using plain greek yogurt to gatherings. Try vegetable appetizers like marinated mushrooms, tomato bruschetta, roasted asparagus or stuffed tomatoes. Serve pieces of different colored fruits cut up so small fingers can grasp them and enjoy the flavor and juiciness. Did you know that the different colors of food signify their different nutritional benefits? Put higher calorie, less nutritious foods in smaller bowls with smaller spoons to help ensure smaller portion sizes. If you need a last minute gift for a favorite friend or family member, consider giving the gift of a cooking class or a session to learn more about nutrition in the coming year. Barb Brower, RD, LD, CTC, is a registered dietician and integrative health and wellness coach. She sees patients at the Penny George Institute for Health and Healing – WestHealth and LiveWell Fitness Center. Categories: Health and wellness, Nutrition, Stress Management, well-being | Tags: avoiding seasonal weight gain, Barb Brower, healthy eating at Christmas, healthy holiday foods, healthy items for holiday parties, holiday nutrition, LiveWell Fitness Center, Penny George Institute for Health and Healing, seasonal weight gain, Stay healthy this holiday, tips for healthy holiday eating | Permalink. 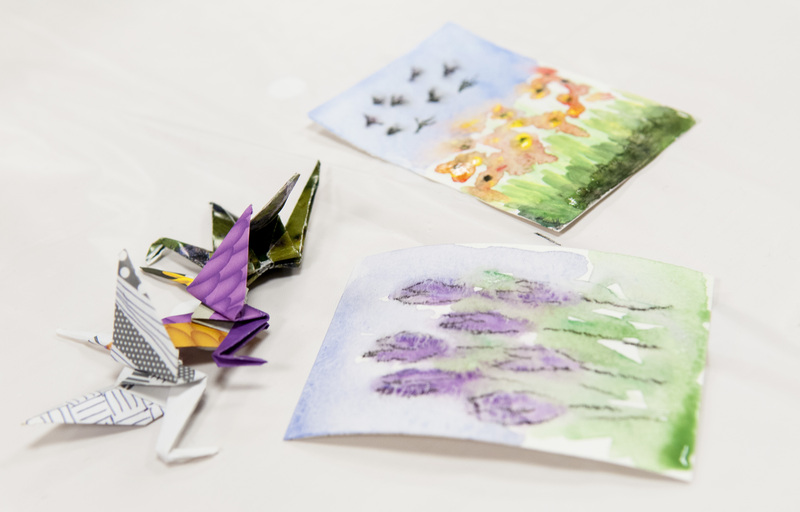 Each month, a group of cancer survivors meet to create paper cranes, which are attached to small pocket sized art pieces given away to individuals on a healing journey. Art is powerful. It can nourish the mind, body and spirit, and it can support healing. That is the inspiration behind a bimonthly Art of Healing exhibit offered by the Penny George™ Institute for Health and Healing. Cranes of Hope and Sharing is community collaborative project supported by the Penny George Institute’s Art of Healing program. Each month a group of cancer survivors meet to create paper cranes, which are attached to small pocket sized art pieces to reflect hope and positive statements. The art is given away to individuals on a healing journey to create a full circle of healing. 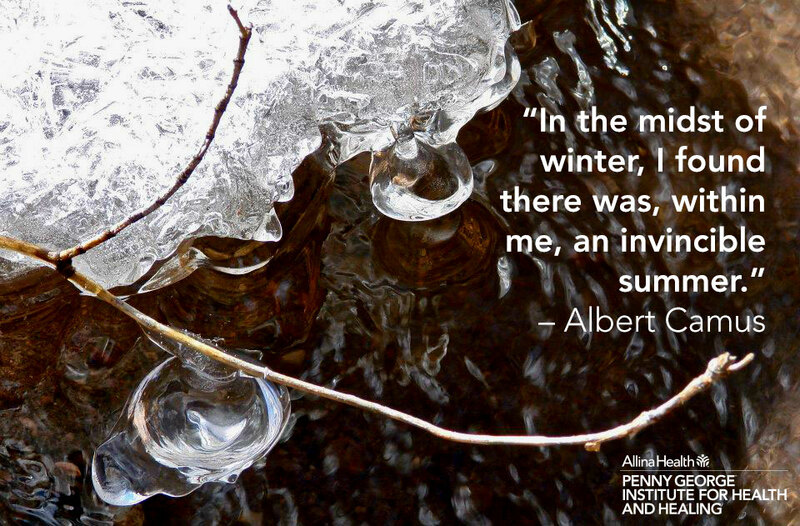 The entire year-long process is documented through photography and will be on exhibit at the Penny George Institute for Health and Healing – Abbott Northwestern Hospital. Through Angel Foundation’s Teen Outreach program, 12 teen participants were guided by Minneapolis-based photographer Scott Streble to develop techniques that capture and tell their story in images and words. The stirring images reveal the impact of a parent’s cancer diagnosis as seen through the eyes of a teenager. While poignant and at times solemn, this exhibit represents how teens channeled some of their daily feelings into beautiful expressions of resiliency, strength and hope. The exhibit will be on display in the lower level of the Wasie Building outside the LiveWell Fitness Center. This is the last month to catch the art quilts and haiku of Janet Hovde on exhibit at Penny George Institute for Health and Healing – Unity Hospital. Hovde is an occupational therapist and certified healing touch practitioner. In her own experience with breast cancer, Janet found it useful to create a personal health plan. In this plan, she used art, haiku writing, energy healing, and affirmations to support herself. The displays are part of the Penny George Institute’s Art of Healing Program, which provides arts-based wellness intervention and education, and supports a healing environment. For more information, call 612-863-9028. Categories: Art of Healing | Tags: Angel Foundation, art of healing, art quilts, Cranes of Hope, haiku, Healing through art, Janet Hovde, Penny George Institute, Penny George Institute for Health and Healing, teen art, teen outreach program | Permalink.